Dry Needling or more accurately, Trigger Point Dry Needling, (TrP-DN) is a treatment which involves inserting an extremely fine, single use sterile needle, (acupuncture needle) into a Trigger Point. This has been found in many research studies to be extremely effective in releasing the pain and tightness associated with TrP’s and normalizing the area. I've Had Acupuncture, Isn’t This The Same? Many people think of acupuncture when dry needling is mentioned, and while the same type of needles are used for both, dry needling is not acupuncture! Acupuncture is based on the Traditional Chinese Medicine Theory - TCM, where a needles are inserted along “energy channels” to affect “Chi” flow, (energy flow). Dry Needling, on the other hand, is based in western medicine and scientific research and utilizes our knowledge of anatomy & physiology and neurochemistry. The primary focus is to needle muscles which harbor trigger points, it is a Musculoskeletal Therapy based on Myofascial Release! There have been a number of studies which have shown the insertion of a needle into a trigger point to be considerably more effective than acupuncture in releasing musculoskeletal pain and dysfunction. In particularly research into the effectiveness of dry needling for lower back pain. How does Dry Needling Treatment feel? You will find that not every area needled will elicited the same sensation. In some areas you might feel a slight pricking sensation when the needle first touches the skin. As the needle is inserted deeper into the muscle, as a general guide, it is expected that relaxed tissue in a normal functioning state will be painless. 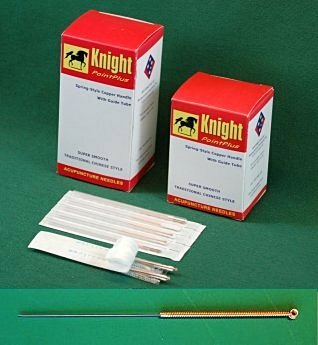 This is because the needle construction is very fine and the tip, (unlike a hypodermic needle which cuts and rips the tissue as it enters), is designed to do very little damage. When the needle contacts a trigger point some people feel the muscle “twitch” this is the “local twitch response”. Others may feel a deep aching or burning sensation or it may feel like the muscle has tightened or “cramped”. Referred pain is another common phenomena, as every trigger point has a common referral zone, often quite distance to the actual TrP. If a strong referral sensation occurs don't panic, this is a good sign that the needle is doing its job. If the sensation you get reproduces part or all of your symptoms, this can mean that an active TrP is very likely the cause of your symptoms. Remember the aim of Dry Needling is to insert the needle into a Trigger Point, so are intension is to stimulate a response. In many cases, while the sensation is quite different, it is less unpleasant than some deep tissue remedial treatment you may have experienced.